This statistic shows the landings of the seafood industry in the United States in 2016, by region. 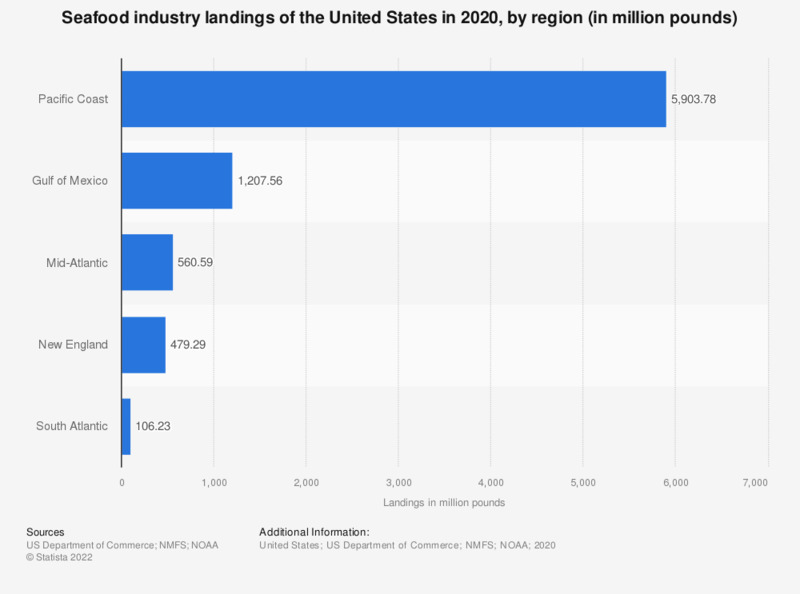 According to the report, U.S. seafood industry landings in the North Pacific amounted to approximately 5.53 billion pounds that year. Landings are reported in round (live) weight for all items except univalve and bivavlve mollusks such as clams, oysters, scallops, which are reported in weight of meats (excluding the shell).